I wanna talk about Micellar Water. 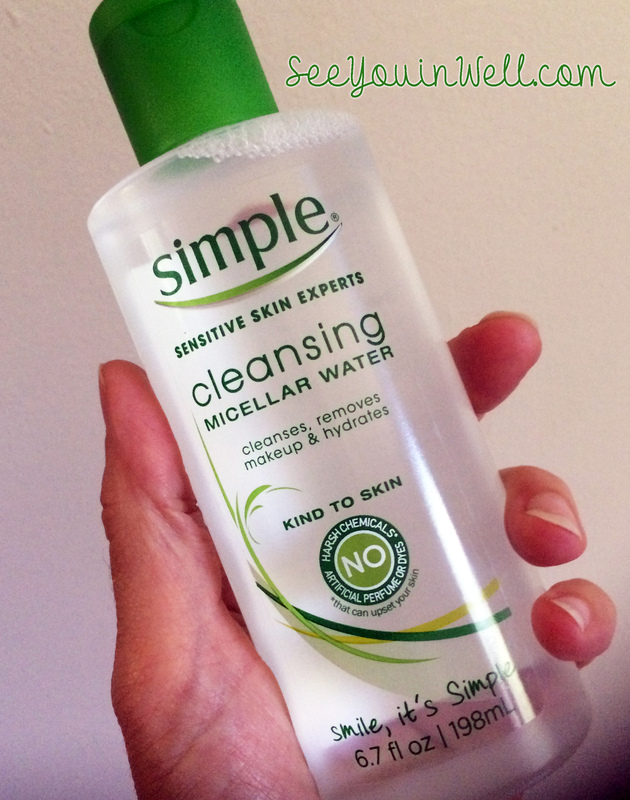 What’s micellar water? Well, from what I understand it is the best thing since sliced toast. Just kidding. It’s a face cleanser, toner, and mild moisturizer all in one. Supposedly, it is all the rave in France and is part of the reason for their apparently beautiful skin. Now I know nothing about French women and their skin but I am always willing to try something new. So I did. There are many different brands and versions of this new skin fad. I chose to purchase the brand Simple at Target or on Amazon because it was inexpensive and claimed to be good for sensitive skin. The basic premise is that the ingredients combined with a simple cotton ball or pad swiped gently around your face will remove dirt and make-up and leave your skin clean, fresh and hydrated. There is no rinsing. Currently, I have a routine of Dr Hauschka and Pai Skincare products that I really like for my dry and sensitive skin but the summer gets tricky for me because of the humidity. I tend to break out like a hormonal teen because of it. So I followed my regular night time cleansing routine but used the Simple micellar water in the morning and then once or twice during the day. My skin definitely improved. Being able to easily clean my face during the hot humid day really reduced my break-outs and that greasy feeling that humidity can bring on. Because there was no rinsing involved, I could clean my face anywhere…at the beach, in the car, at work….etc. I have to tell you that I have very sensitive skin and cannot use a lot of products. This product by Simple did not bother me. I really liked it. I am not sure how well it will work for me in the winter when my skin is very dry but I will try and see. It will definitely be a part of my summer routine. I have read that it may not be ideal for people with very oily skin but it’s worth a shot. Now the best part… You make micellar water at home. (See ingredients below) Since I know that I like it, I will definitely try this because I do not like to use some of the ingredients found in commercial products. Doing it myself, allows me to tailor it to my needs and the ingredients that work best for me. If you are interested, check out this article on XOvain.com which list ingredients (as seen below) as well as a step-by-step guide on how to make your own custom-made micellar water. Want to know more about how micellar works? Check out this article on Lab Muffin or just google it. There are lots of articles on it.